Yay! I just love being able to give fun stuff away! Make sure to check in next month for lots more fun giveaways! Remember, you can still get a great deal on the software by using promo code: MSV310dld. I've mentioned that work life has been a little stressful lately. Luckily, I think the worst is behind me and I'm going to be just fine (I've decided). The wonderful thing about bad situations is that you really find out who your friends are and just how much people care about you. So, now I'm living in a state of gratitude, especially towards all of the people who have been close by and have been helping me get through it all. One person has really stepped up and gone above and beyond to help me, to listen to me, and to even offer me the possibility of a job, if it comes to that. 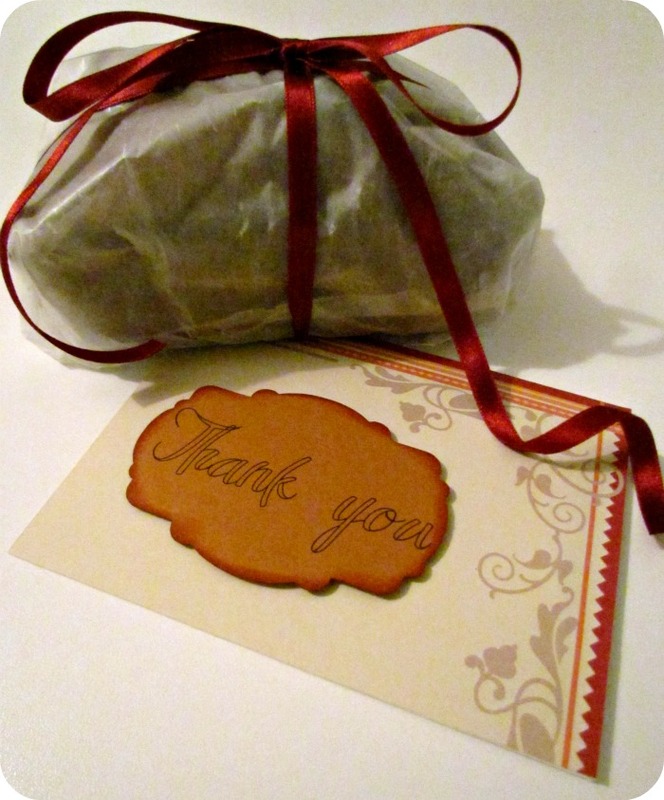 So, as a very humble show of gratitude I baked him a loaf of banana bread and made a simple thank you card. Because he's an adult male, who I know professionally, and just as a friend, I had to hold back on the glitter, the butterflies, and the flowers. This was no easy feat for me. 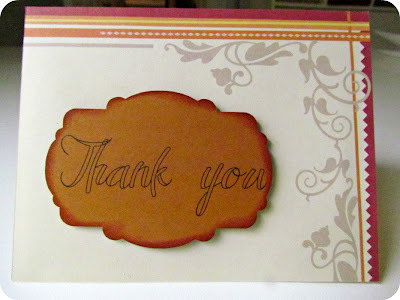 I just used some simple paper that had a nice border and with my Silhouette I made the Thank you plaque. I inked the edges with some red cheapy ink from Michaels and popped it up on some 3D dots. 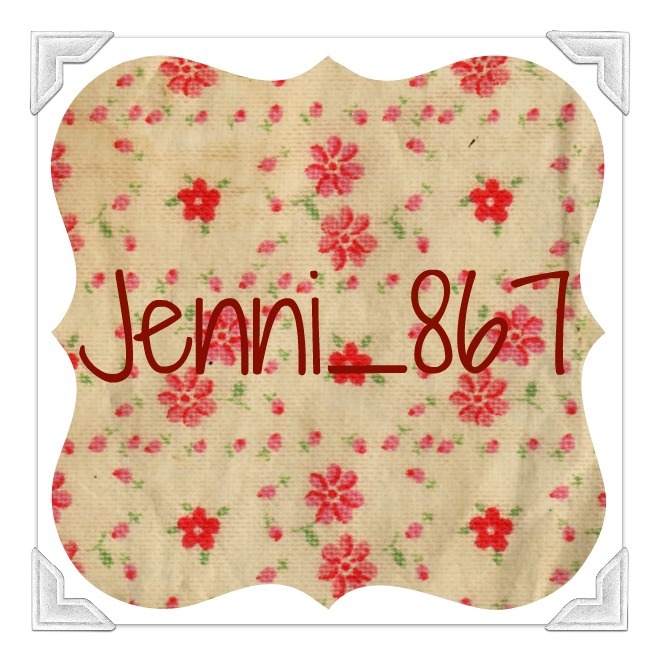 Does anyone out there know how to make Silhouette fill in lettering to make it solid? I can't seem to figure it out. Just a reminder that the My Memories Digital Scrapbooking Software giveaway is ending soon! My Memories isn't just the software. They also have loads of free online tutorials, weekly challenges, fresh designer packs, gifts that you can customize and more! Just click HERE to get your entry in before Wednesday, May 30th and you could be the lucky winner! Let's see a sample of the great projects that were shared at last week's party! First up are these super cool stenciled leaves from Wesens Art. You won't believe how easy it is to make these! I loved this great scrapbusting project from Mie over at Sewing Like Mad. 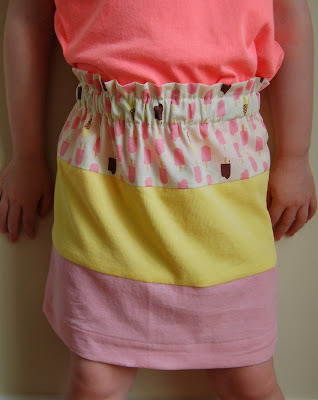 This cute skirt is definitely on my list of projects to make for my niece...or myself! 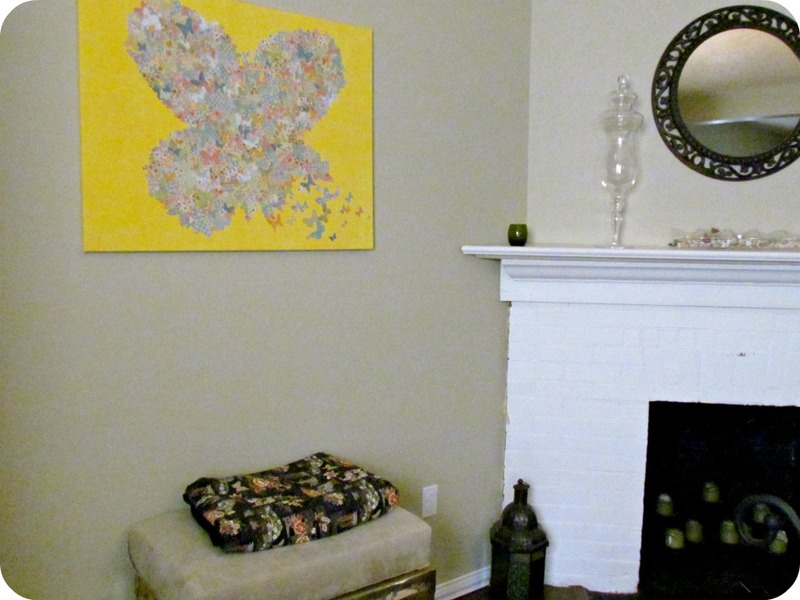 And for you slightly more experienced sewers, you'll really appreciate this amazing slipcover project from my lovely bloggy friend Anita over at Cedar Hill Ranch. And Lori from Choux Choux caught my eye with her pretty tag and gift bag combo. Make me want to give someone a gift just so I can make them a bag to put it in! Remember to head over to Cabin Fevered Gem to see if you were featured there! Don't forget, you can link up any creative projects here, and you can link up any 3R (Recycled) projects at our Motivated Monthly party going on all month long. 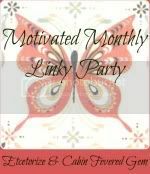 Coming soon: June Motivated Monthly Party is for Garden Projects! 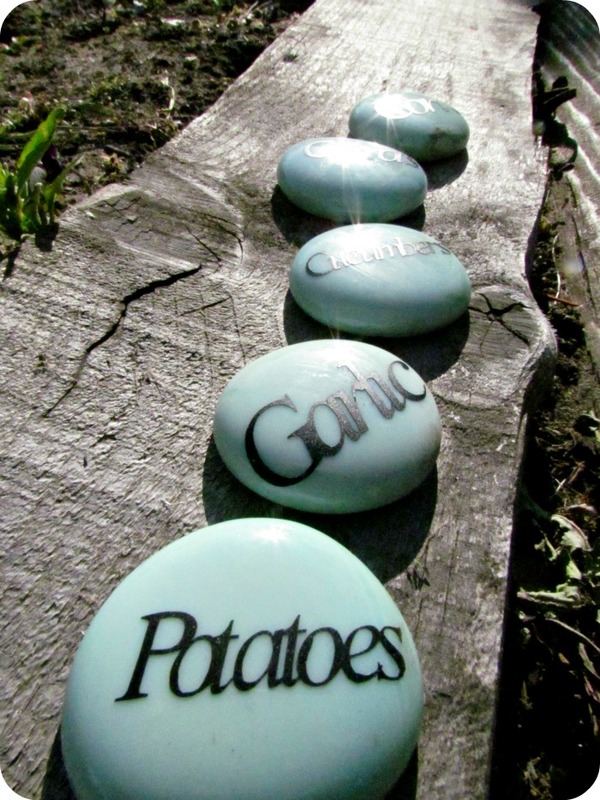 Get motivated and get ready to share crafty ideas in your garden! Just when you thought I couldn't possibly come up with something else to stick butterflies on... I have...BIG time! 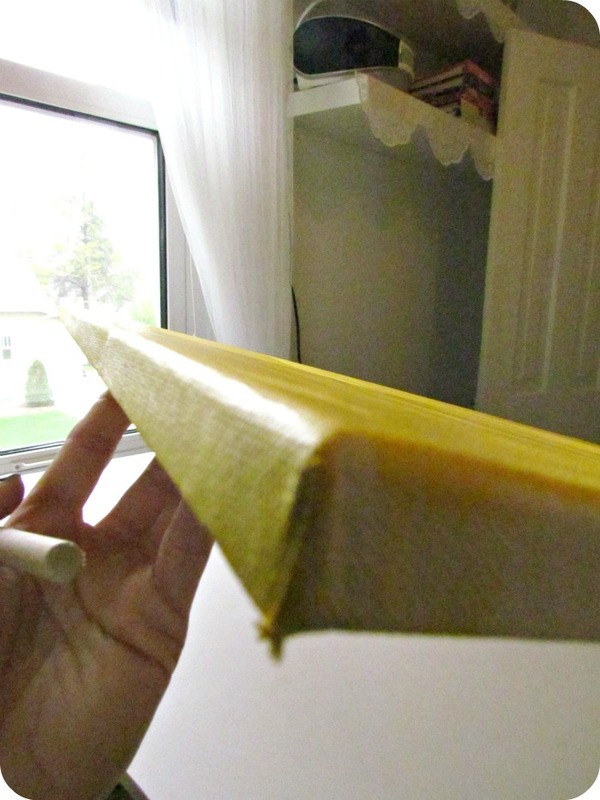 Can you see how big my canvas is? I forgot to add glue to this pic. I ended up just using a regular old glue stick. 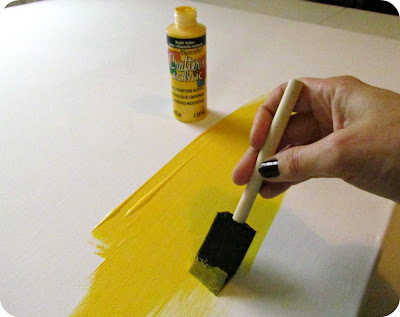 1) Paint your canvas background colour. 2) Make a pattern for the overall shape you want. 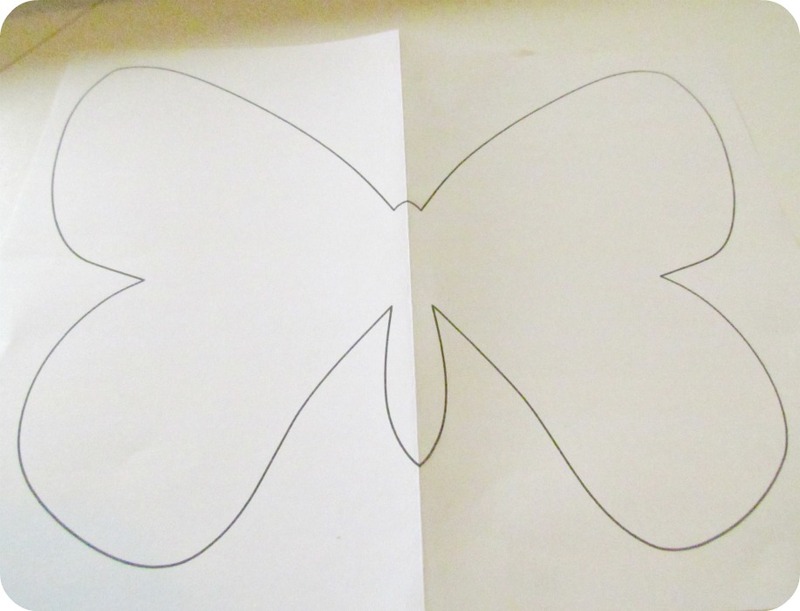 Mine, of course, is a butterfly. I started by printing one out on my printer as big as I could. 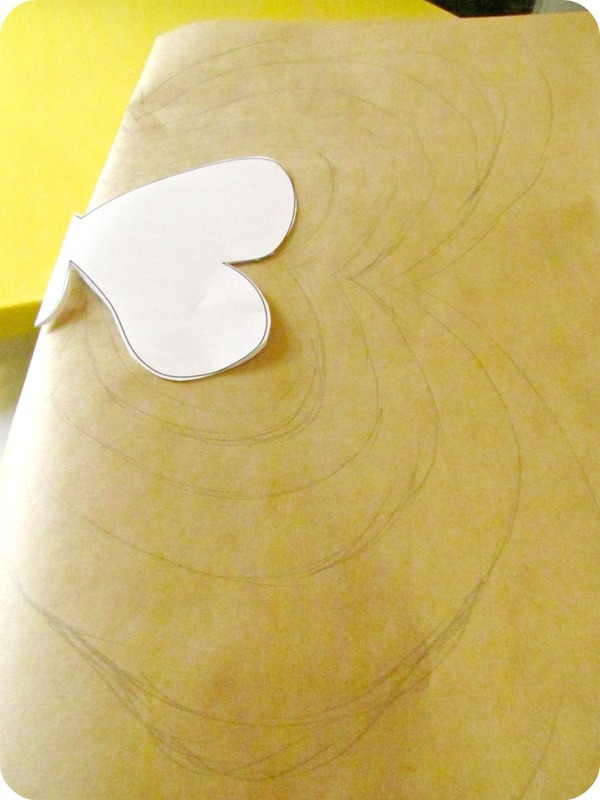 3) Then to enlarge it, I placed it on some craft paper the size of my canvas and just started outlining it bigger and bigger until I got it as big I could to fit the canvas. 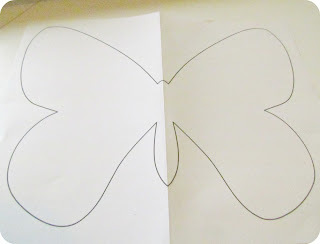 For mine, I just did half, and then cut my craft paper on the fold to get a nice symmetrical shape. 4) Place your pattern onto your painted canvas once it's dry and super duper gently and softly trace the outline with a pencil. 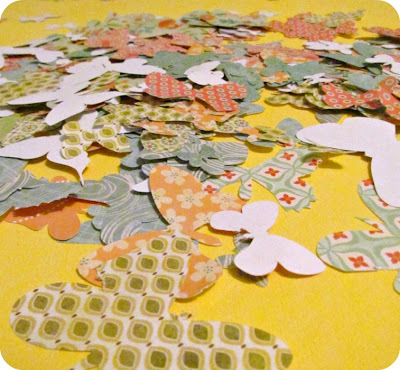 5) Now, cut out loads and loads of butterflies. All different shapes, sizes, and colours. 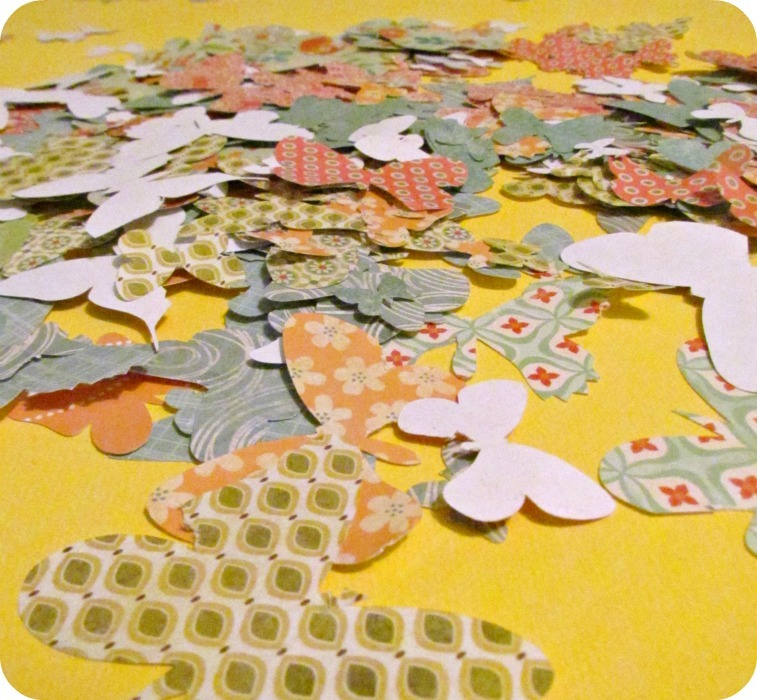 Even though my Silhouette was giving me nothing but headaches (tearing paper instead of cutting it) I managed to get lots of butterflies. I ended up using probably 1/2 -3/4 of a page of about 16 different papers and I had loads left over (bring on the butterfly crafts!). 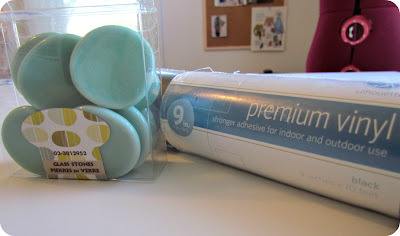 6) Just start gluing and layering and gluing and layering and...you get the idea. You should end up with something like this! (Sorry about the bad pics, I just couldn't get the lighting to cooperate). I love how it turned out! 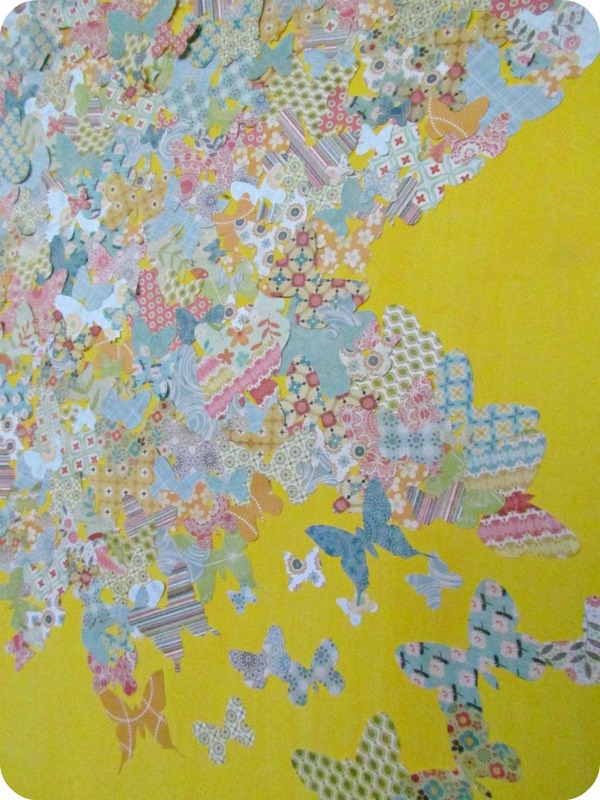 Reminds me a bit of a patchwork quilt. For now it hangs in my dining room next to the fireplace. That wall was in desperate need of something, anything. I'm sure it will eventually make it's way to someplace not quite so prominent. 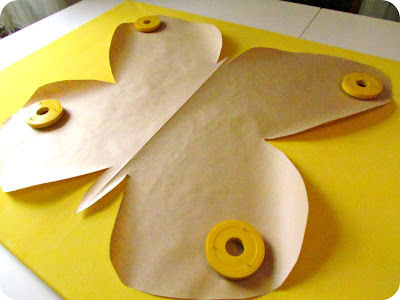 This is a fun and easy craft that you could change up so easily to make it your own. Try different shapes, or all coordinating papers. 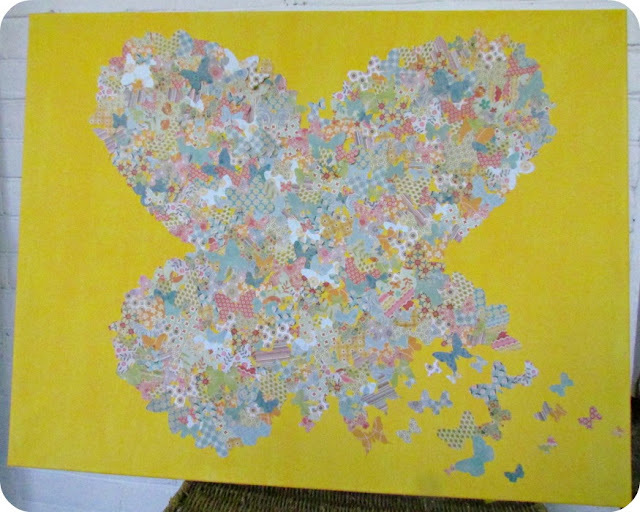 It took me several nights to complete but it was oddly relaxing to just go sit in my studio and glue butterflies for an hour here and there. Don't forget, I have a giveaway going on right now. There aren't many entries yet so your odds of winning are pretty darn good. Before I tell you about the latest offering from reality queen Tori Spelling I think I have to give her a little round of applause. I knew she was 'into' crafts but who'd have known that the heiress of a billionaire would really embrace the whole do-it-yourself crafting scene as much as she has? I guess Tori Spelling kind of rocks! 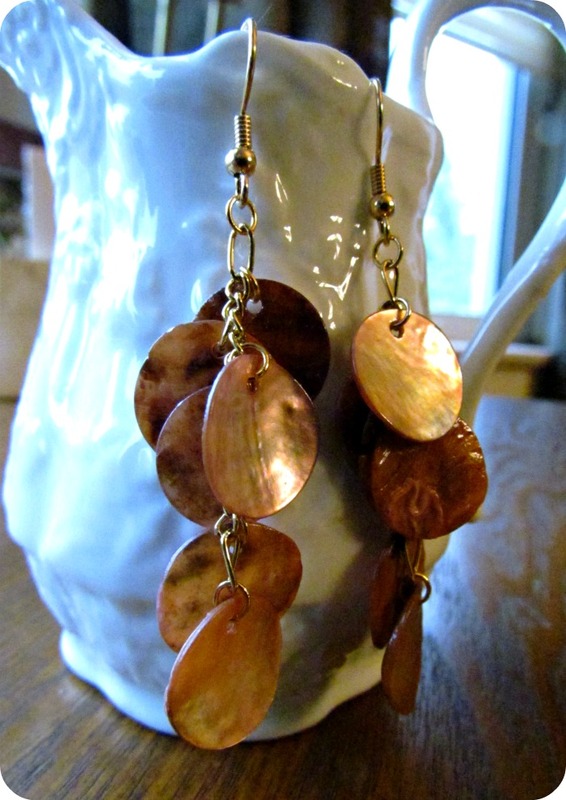 Her new line of make it yourself jewellery has four themes: Glam, Boho, Glitz, and Noir. It's full of mix and match bottoms, tops, and connectors that you can put together quickly and easily. You don't even have to know anything about jewellery making! I haven't seen these in person yet but am looking forward to checking everything out. I'm pretty sure I read somewhere that they'll be showing up in Michael's stores very soon! In the crazy mayhem of Sampeng Alley in Bangkok I picked up a little bag of shells to make some jewellery with when I got back home... and I finally got around to following through! 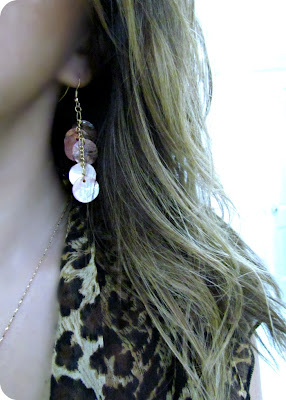 What better way to remember the relaxation of a tropical getaway than with some shell earrings! I love the peachy browny colours in these shells. Don't forget to enter the My Memories Digital Scrapbooking Software Giveaway here! As I've mentioned before, I'm not really a scrapbooker. 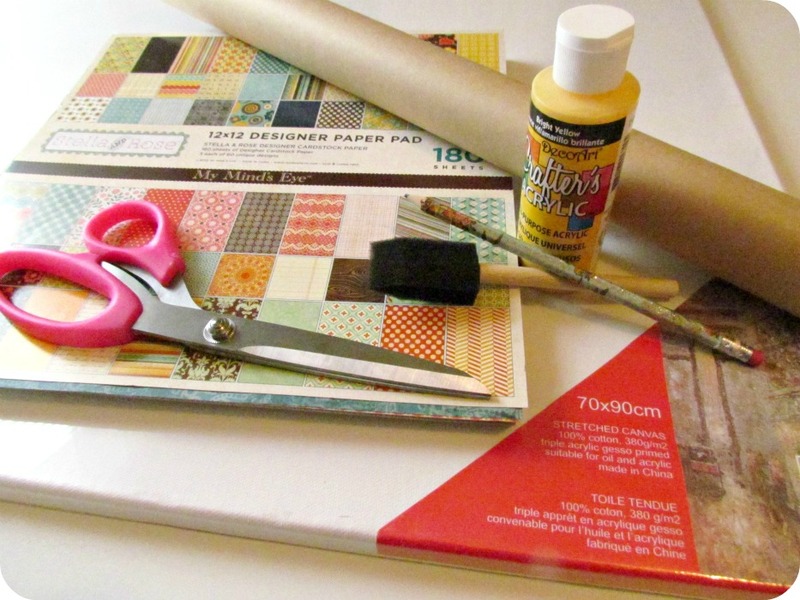 I think scrapbooking is beautiful, but it's also quite time consuming, and it can get a little on the expensive side. That's why I was so excited to try out My Memories digital scrapbooking software! 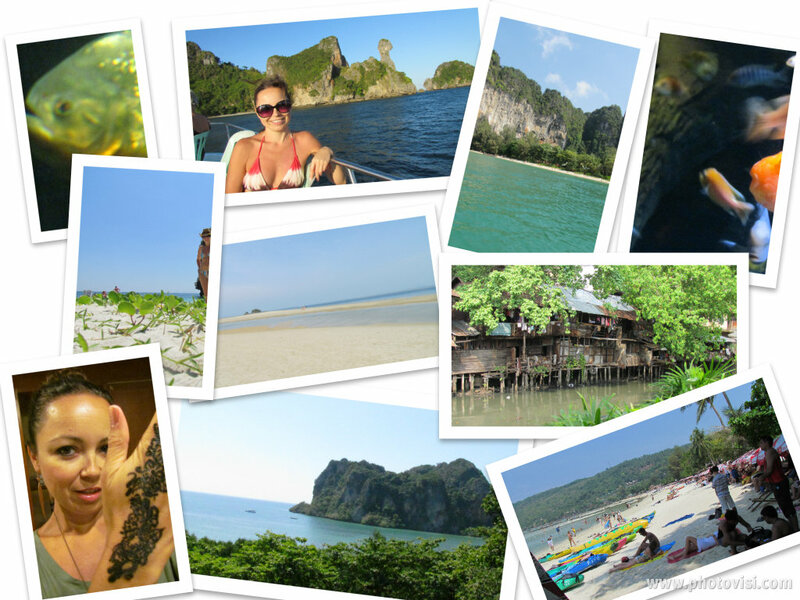 With My Memories you can create layouts in minutes, with sound if you want, and you can share instantly. It also easily makes calendars, posters, cards and more! 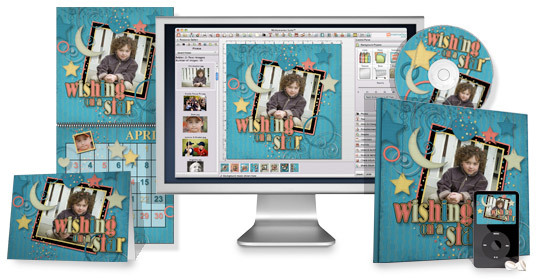 You can add to your software with new kits full of digital embellishments, papers, and layouts. two different ways to try out this fun software! If you can't wait, just go to the My Memories website and use the code below to get $10 off My Memories Suite Scrapbook software and a $10 coupon for the MyMemories.com store - $20 value! Or, enter to win your own copy of the software through the Rafflecopter draw below. I'll announce the winner on Thursday, May 31st, so get your entry in before then! I really liked this great idea from Folkhaven. She calls them her Shamelessly Lazy Toddler jeans, I just call them smart! This is an awesome recycle project! And here's another fun recycle! 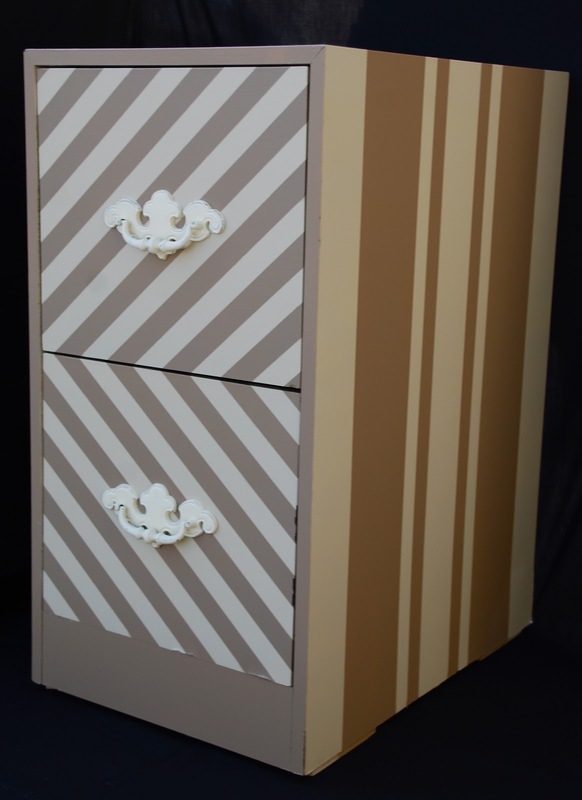 Head over to Little Yellow Barn to check out the filing cabinet Ashley started out with. You'll hardly recognize it. Sew Fantastic shared her twist on the classic pillowcase dress. Isn't it pretty in lace?!? 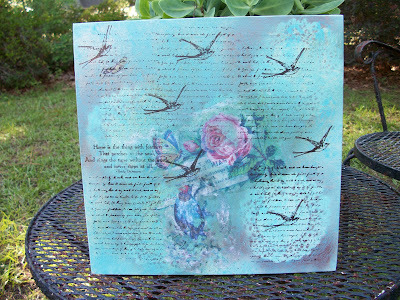 And for something comletely different, head over to Distressed Donna Down Home. She shows you all of the different techniques and layers that went into making this beautiful canvas! at our Motivated Monthly party going on all month long. As I mentioned yesterday, I'm going through a bit of drama in real life at the moment and haven't really had time (or mental power) to do anything overly creative this week. I did eke out a quick little project for my garden though. 1) Use the text function on your cutting machine to write out some of the yummy veggies you're planning to plant in your garden this summer. Make sure to use a font that has some fat and skinny parts. I chose "Vijaya". 2) Adjust the spacing of the letters so that they're all touching. Don't worry if some of your "o's" start to look like "a's" or "r's" start to look like "n's", you'll still be able to figure out what everything says. 3) If you're using a Silhouette machine, select the whole word and click on the "Weld" button in the bottom left hand corner of your screen. This will ensure that the whole word will be cut out as one piece. The second to last button is the "weld" button. 4) Using some high quality vinyl, have your cutter cut out your words for you. 5) Place the each word onto a pretty polished stone. 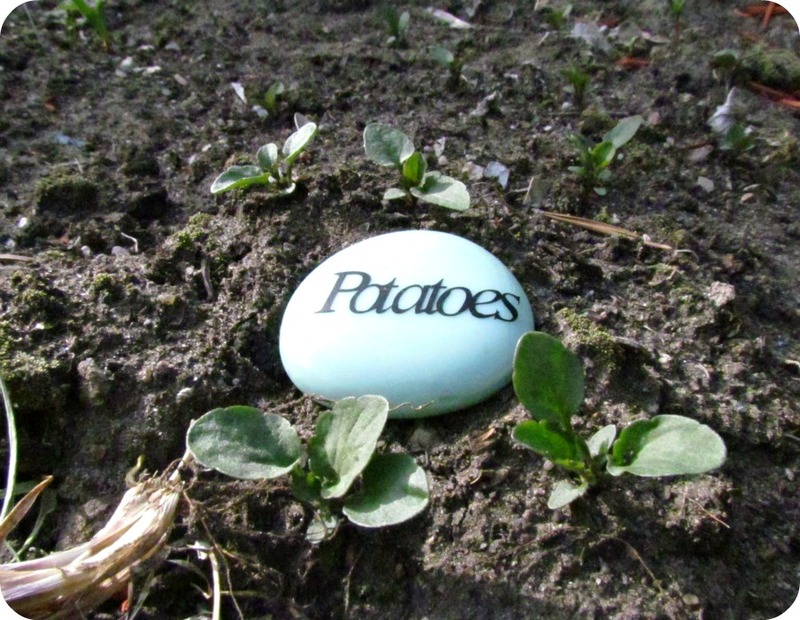 but in a few months they will be replaced by potatoes! 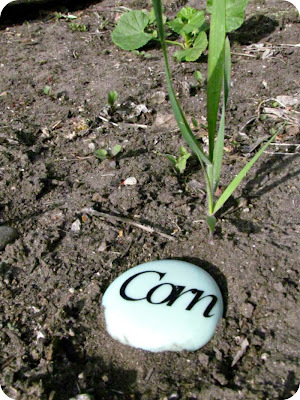 This is so simple but I swear I always forget what I've planted where, so I know this will be mega useful for me. 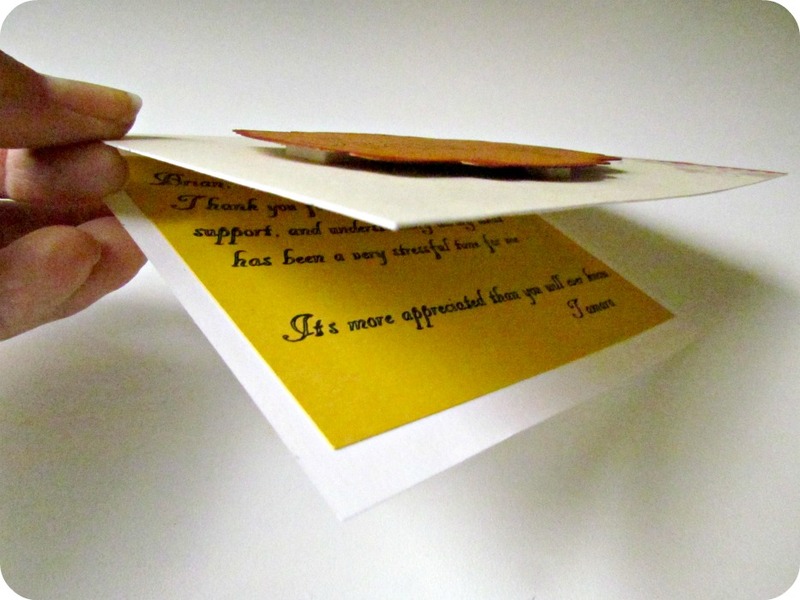 If you have a cutter, this really only takes a matter of minutes to make. I stick to the basics in my garden. I was almost going to use outlines of the shapes of veggies instead of the words, but I figured everything would just come out looking like a blob, and that wouldn't help me very much. May long weekend is this weekend and it signals the turning point for us here in Saskatchewan. It means we're free and clear of snow and we can finally start planting and putting flowers out!!! Yay! It also means the countdown to the end of lovely summertime temperatures begins. Only 3 months to get it all in! Have a great, and loooooooooooooong, weekend everyone!